For a landlord, Murphy’s law says things will break. 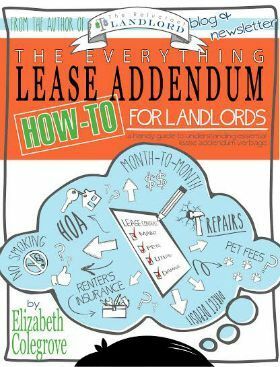 As an empire-building landlord, things will always break in succession according to Murphy’s law. Of course, as always, it held true. We hadn’t had any repairs for a while, and in 24 hours we had THREE! That’s a little more than two month’s worth of profits gone in a matter of hours throughout three different houses. That is not even counting the repairs that I have made in the past four months on my other houses. We replaced one of our rentals bathrooms during my husband’s post-deployment leave. We also had another AC unit go down, but luckily it was a cheap repair at $300. While these repairs may seem like a reason to scare you away from being a landlord, for us it was just the cost of doing business. Because of our business practices, we had an emergency fund and the ability to afford these Murphy incidents. Still, this 24 hour period reinforced my views of the importance of an emergency fund. While today $4,200 stung, it was nothing like it would have stung when we first started out. For many beginning landlords an expense like this would end you before you got started. I know it was one of my biggest fears. Over the years, especially in the beginning, we learned some tricks to the trade that helped us protect our emergency fund. This way when we had these big expenses we had the funds to cover them. 1. Rent Your House At Market – In order to have a emergency fund you have to have a profit. The best way to make sure you have a profit is by renting your house for market value. If you under value your home and don’t make a profit you won’t have an emergency fund. 2. $100 Deductible – I want my tenants to have skin in the game. Rather than call a plumber for an easy fix like snaking a drain full of hair just because they know the landlord will pay for it, I’d rather have them try to fix it. While I was skeptical at first, this clause has saved me a TON of money because people only call me when it is really a non-fixable issue. 3. Eliminate Washer and Dryers – We no longer buy washers/dryers for our homes. Not only has this saved us tremendous start up costs (i.e. the emergency fund from day 1) but also on large repair bills. This was one of our most frequent appliances to break. 4. Label Appliances AS Is – While we don’t remove washers and dryers from the house if they are already there, we do label them AS/IS. If there is an appliance that does not make sense fixing (kids swing set, above ground spa), make sure you document it in your lease. The last thing you want to do is deplete your emergency fund for a $3,000 spa that ads NO rental or resale value. Yet, if it is at the house and not specified in the lease that you won’t fix it, you are required too. 5. Decide if it is Cheaper to Fix Or Band-aid – When you are poor and have low funds, you do what you need to do to survive. That being said, once you have your emergency fund fully filled, you should sit back and evaluate if it is going to keep breaking or if it is a one time thing. That day that everything broke in 24 hours, one of the repairs was a failed band-aid and the other was a complete fix. The AC unit has a down compressor and it was better to replace the ENTIRE unit than just band-aid it. On the other hand, the refrigerator was a band-aid from a month ago that had failed, meaning it was a large issue. I have the rule 10 (AC and large items) – 30% (refrigerator and smaller items). If the band-aid fits this rule, I try the band-aid. One of my band-aids has lasted 3+ years for a $300 repair instead of $5,500 repair. On the other hand, I replaced a unit for $3,400 since it already needed a $1,800 repair. The key to remember is that things will break in your rental, and you need to be prepared with an emergency fund to cover those costs. The thing to remember is that you are in control over your funds. You need to be proactive at building it and protecting it from repairs that do not need to come out of it (backed up plumbing due to baby wipes). This way when your water heater or AC goes out, you have the funds to pay for the repair. I have learned the hard way that my tenants respect me for holding them to the lease as long as I live up to my side, which means repairing items as they come up. Without my emergency fund, I would not be able to make repairs promptly as they arise. Do you have an emergency fund? 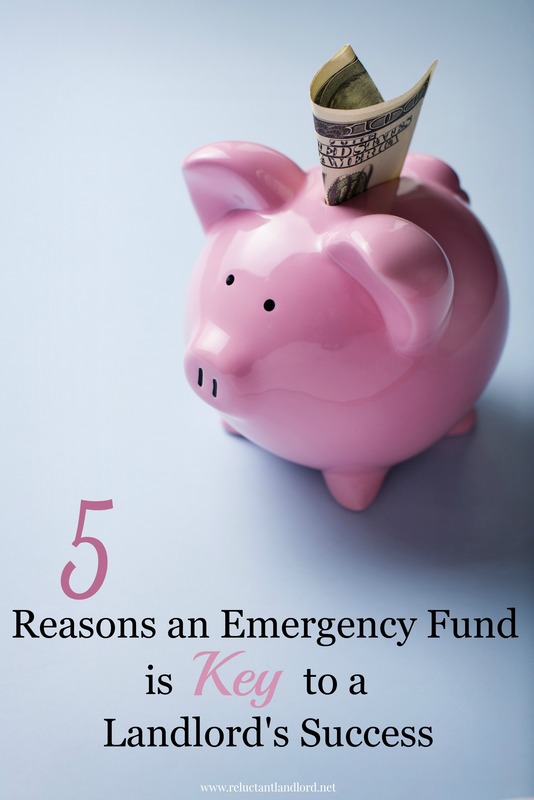 What has been your experience regarding growing and protecting your emergency fund?